Dr. Davis has performed over 4000 spine surgeries, ranging from complex revision spine surgery, spine trauma, and minimally invasive surgery. Dr. Davis has a special interest and significant experience in cervical spine problems, degenerative lumbar conditions (spinal stenosis/disc herniation’s) as well as complex revision spine surgery (failed spine surgery) and spine trauma. 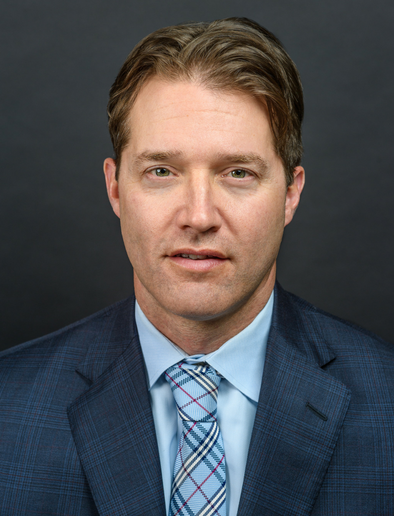 Dr. Davis also provided spine care for the Nashville Predators (NHL), Olympic hockey players, and Division I baseball and football athletes while serving as Chief of the Adult Spine Division at Vanderbilt University Department of Orthopedic Surgery in Nashville, TN. In addition, Dr. Davis has instructed orthopedic residents and fellows, and been an invited lecturer at several medical schools in the United States. His research studies have been published in spine journals, presented internationally, and he has written book chapters on minimally invasive spine surgery and spine trauma. Also, Dr. Davis has designed two spinal implants that is used in procedures for cervical disc herniation surgery and cervical spinal trauma. In his spare time, Dr. Davis enjoys time with his family, running, golf and cooking. In May of 2018, I experienced some lower back pain that quickly developed into a lot of pain from my left hip to my tingling toes. After trying several different treatments from cortisone shots (2), to chiropractic visits and therapy, it became apparent that I would need to have surgery on my L4-5 to relieve the impingement that was putting pressure on my sciatic nerve from a herniated disc and foraminal narrowing (MRI terminology). Surgery was scheduled but put off until after harvest season (farmer). Dr. Rick Davis had prescribed a couple of different medications which allowed me to finish the harvest season ahead of the surgery and which worked very well…really, a life saver. My experience with Dr. Davis and his PA Brandon was exceptional! From the time I entered the clinic the morning of surgery until I left some 4 hours later to go home was amazing. Everyone was so accommodating, understanding and comforting…the surgery by Dr. Davis turned out to be 100% successful and I am once again pain free on my left side. I would definitely recommend TCO and Dr. Davis without hesitation. Just got home from my follow up appointment and had a great conversation with Brandon and Dr. Davis about the surgery and the healing process over the next several weeks. Thank you Dr. Davis, TCO and Brandon. Dr. Davis is an excellent Spinal Surgeon. I have no pain in legs or buttocks which had been persisting for over one year. He is kind, professional, very talented and has a super caring staff. He is terrific in every way. I am so glad and grateful to have had him for my surgeon. Thank you Dr. Davis for this wonderful outcome and to your staff, as well.